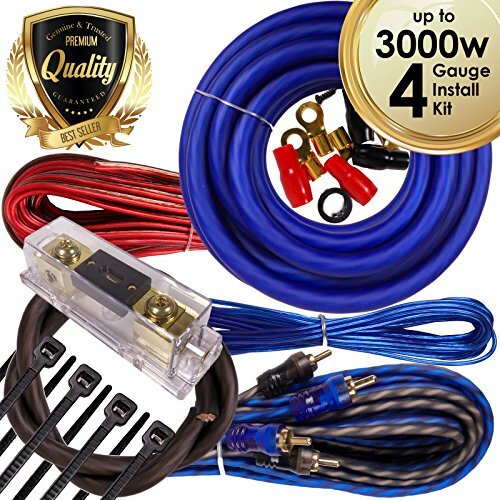 Complete 3000W Gravity 4 Gauge Amplifier Installation Wiring Kit Amp PK1 4 Ga Blue - For Installer and DIY Hobbyist - Perfect for Car / Truck / Motorcycle / RV / ATV by Gravity Kit Pro at Atoz Car Rental. MPN: BGR-KIT4-B-PK1-3000W. Hurry! Limited time offer. Offer valid only while supplies last. Premium 3 Feet FT 4 Gauge GA Ground Cable / Inline ANL Fuse Holder & 200A Fuse Included! If you have any questions about this product by Gravity Kit Pro, contact us by completing and submitting the form below. If you are looking for a specif part number, please include it with your message.